Swing is a smooth and groovy style of jazz music that first gained popularity in the 30s and 40s. In fact, the years between 1935 and 1946 were known as the swing era, a decade in which big bands and bandleaders dominated the music scene and caused people to come up with new dance moves that went with the emerging new style. Swing is such an influential style that to this day, its elements can be heard in genres like pop, hip hop, soul, funk, ska, and even rock. The reason for this is simple. Classic swing very expertly walks the line between catchy and classy. In a way, it’s jazz that’s very smoothly arranged into what can also be considered pop. Diana Krall’s “Devil May Care” is pure swing. 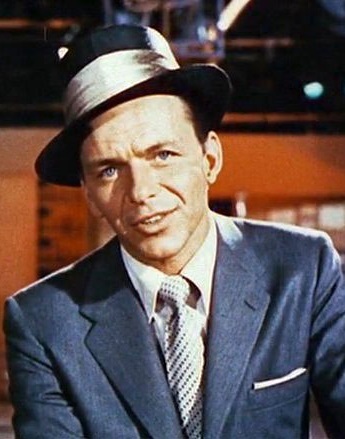 It’s Frank Sinatra in a suit, sipping whiskey in between crooning while being backed by a big brass band. It is perfectly timed breaks and leaps from the horn section accompanied by an ace on the drums. It’s dance-friendly jazz that’s highly polished but never to the point of being robotic. It’s the coolest, classiest music that America ever produced. And because of all this, the influence of big band swing can still be felt in today’s contemporary music. Flypaper points out that elements of swing and jazz are scattered everywhere in modern music. From the iconic Beatles to the 90s horns-and-hip-hop outfits Digable Planets and A Tribe Called Quest, swing is an ever-present element in a number of modern genres and sub-genres. Because of their inherently tight and versatile nature, jazz and swing can structurally fit into almost any style of modern music. Some artists even directly pull samples from the swing era in order to create new and original material. In an interview on Bandcamp, hip hop artist L’Orange offers a glimpse of his roots as a musician and how he was influenced by swing. As a teen, he was a big fan of old radio shows which he would listen to in the bright orange car that he drove to high school (that’s where his moniker comes from). This early interest led him to produce albums and songs that directly lift samples from dusty Billie Holiday records, early 20th century radio broadcasts, and big band swing from the 40s. Sometimes, it results in hip-hop tunes that are decidedly vintage swing. Dance is also a big part of what makes swing timeless, and The Guardian reports that swing dance is very much alive and well. From London to Moscow, swing dance camps continue to offer lessons on traditional Lindy Hop and other swing dances – sometimes combined with modern improvisations taken from other styles of dance.